I love cycling in Scotland but sometimes, usually early in the year, I have to escape to somewhere warmer and dryer. Where each ride doesn’t end with scraping a layer of dirty grit from soggy clothing, followed by a hosing down and re-lubricating of my long-suffering road bike. That’s when Nellie gets packed and we hit the road. Usually, our destination is France. It is the spiritual home of road cycling and the physical location of the toughest race on earth, the Tour de France. 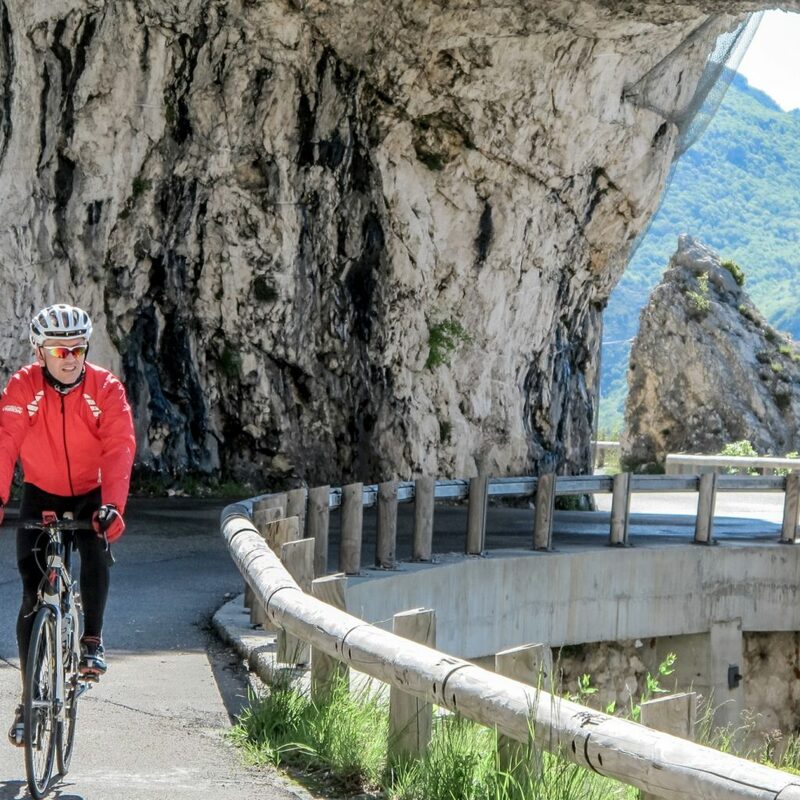 While football fans might yearn to merely step on the hallowed turf of their favoured team, let alone kick a ball, we cycling fans can play in the exact same arenas as our heroes, the monster road climbs of the Alps and the Pyrenees. We can be Wiggins and Froome, Anquetil and Poulidor, Coppi and Bartali. We can ride the Port de Bales where Contador accelerated after Schleck dropped his chain; climb to Luz Ardiden where Armstrong fell, recovered and blistered his way past Ullrich; and tackles the twenty-one hairpins of Alpe d’Huez which the charismatic Pantani flew up in thirty-seven minutes. I’ve done them all with my wife, albeit a lot slower and far fewer drugs. Nellie makes our cycling adventures so much easier. 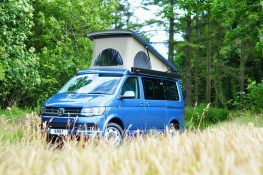 She’s our long wheelbase Jerba Campervan, and I’m telling a few tales of how she has become an integral part of the various adventure sports that feature in our lives. For an overseas journey, the long wheelbase is excellent for two reasons. Firstly, when travelling the bikes easily sit inside without removing any wheels. 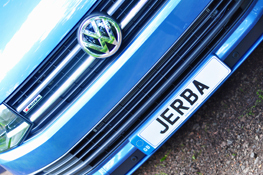 Although Jerba fitted our rear bike rack, we only use it on shorter, local drives. On the motorway, the bikes are safer inside where they contribute less drag and so fuel efficiency is improved. Incidentally, if you do secure a carbon bike to a rear rack, don’t let the lock rub on the bike frame, because the vibration can wear a hole in the carbon shell – I speak from unfortunate experience. The second reason is space. After a day in the saddle, we want to stretch out, and while the extra 40cm of the long wheelbase might not sound much, it makes all the difference to us. It makes the van slightly more expensive on some ferries but seems not to affect fuel consumption or handling. We feel it’s worth it. Lake Annecy is one of our favourite destinations. 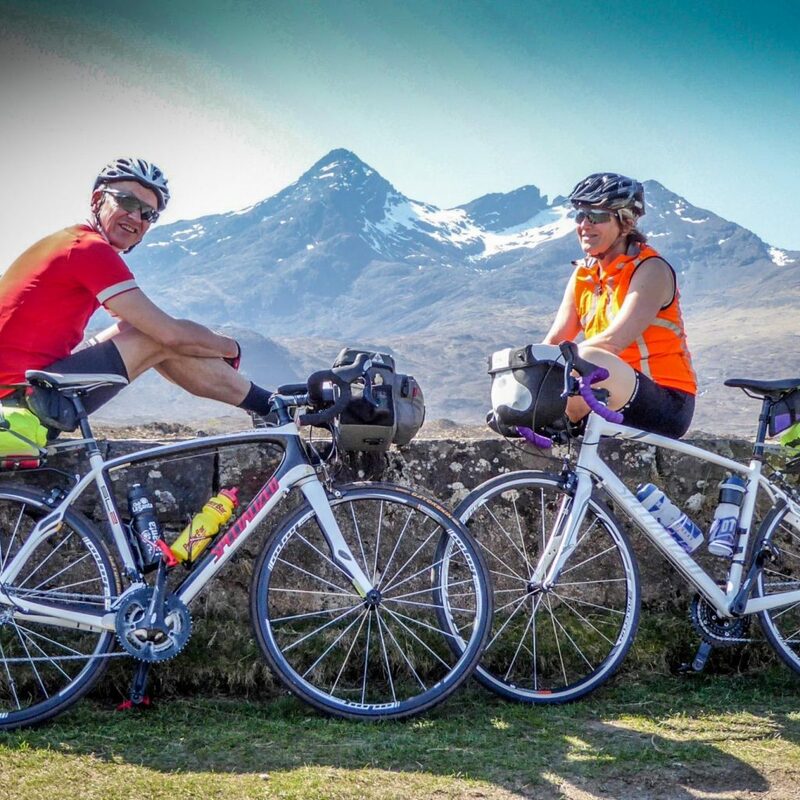 “Do you have any road cycling maps”, I enquired at the tourist office on our first visit, and in reply was handed an entire folder, illustrating a vast network of cycle paths and road routes graded for difficulty. 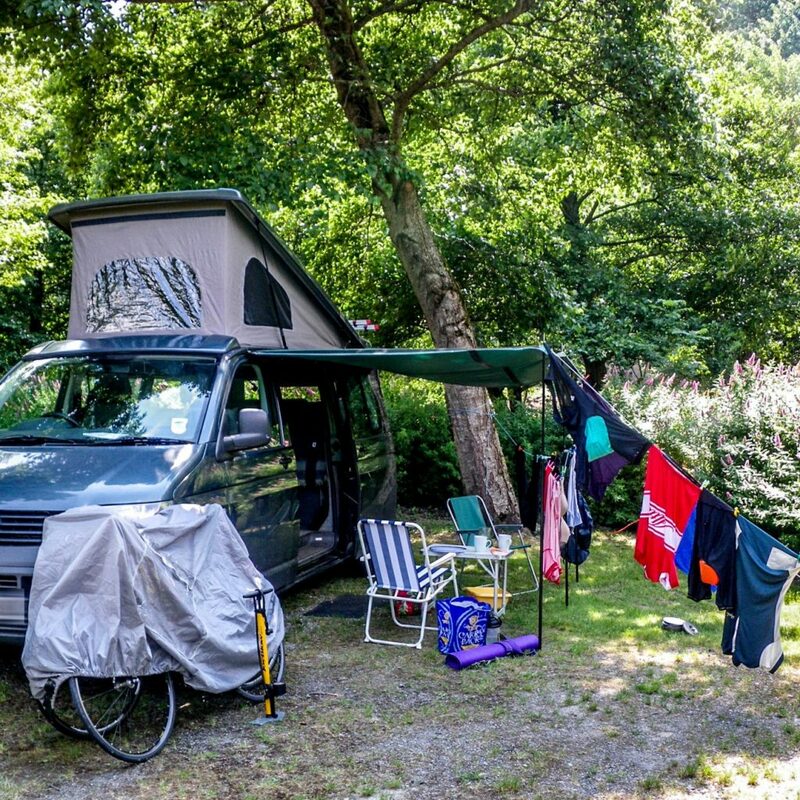 We’ve spent the most time in the Pyrenees where we dropped into a habit of spending no more than two nights in any one place, campsite or Aire. Each day we have a fresh valley and climbs to explore. 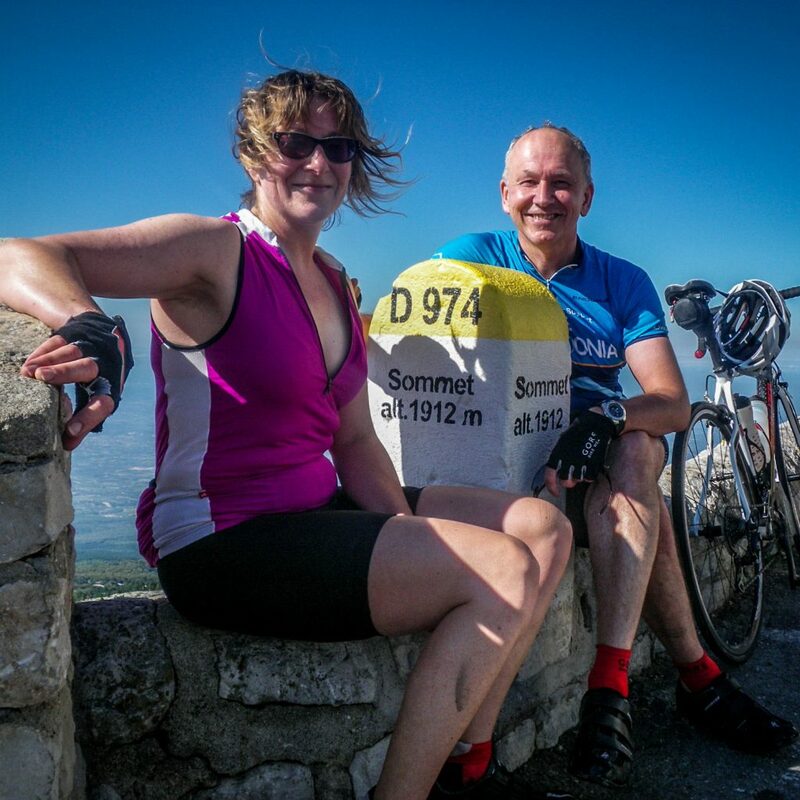 However, the area which has drawn us back several times is Provence, specifically the mountain called Ventoux. 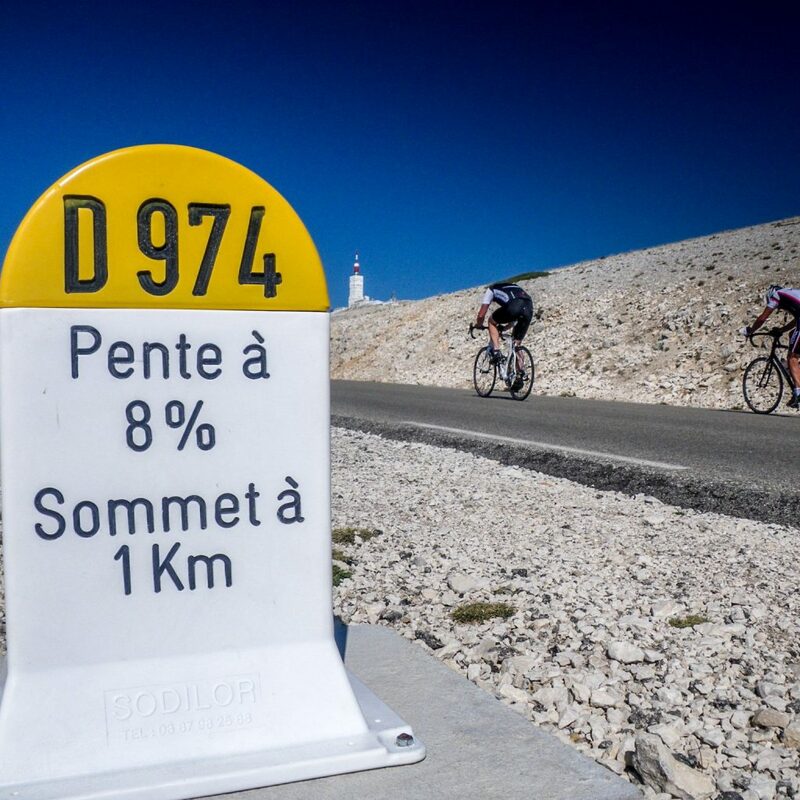 It’s not the hardest, highest or longest climb but it is probably the most iconic. When much of Europe is cold and damp, this part of Provence can be warm and balmy; the roads around the base of the mountain are gorgeous and smooth; the drivers understand and respect cyclists because they’re cyclists themselves. Of course, like all giants, Mont Ventoux has a temper and can throw down horrendous weather if it’s angry, and while it was sunny at the base a sportive on the mountain had to be cancelled due to snow, ice and fog at higher levels. It’s a true mountain. Still, such storms never last long and there’s always somewhere else to ride. This Tour de France classic can be climbed from three directions, and so far I’ve only tackled two of them. But that’s fine. There’s always next year. Simon Willis is the author of Day by Day on the Pacific Crest Trail and The Scottish Sea Kayak Trail guidebook. He produces the world’s best selling coaching films Sea Kayak with Gordon Brown. Simon and Liz Willis live on Ardnamurchan in the Scottish Highlands. 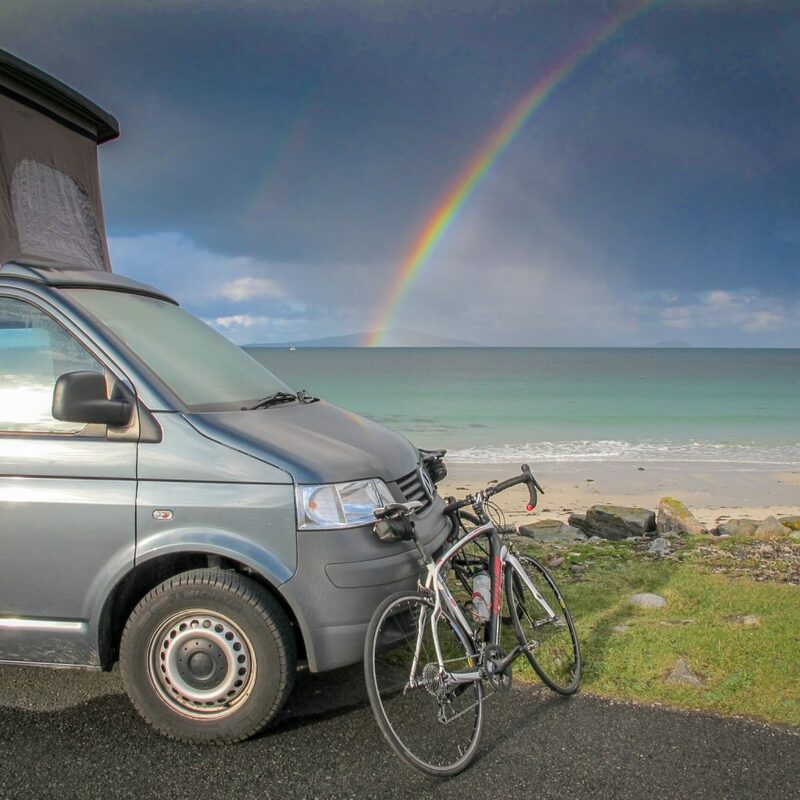 We can fit any of our T6 campervans that have a tailgate (Cromarty, Tiree, Sanna and Taransay) with a VW T6 tailgate bike rack that can hold four bikes. We choose to fit the VW bike rack as we simply believe it is the best on the market. Our J-pod conversion also makes carrying and storing expensive bikes inside your van easier. 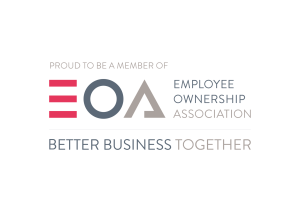 Like us on Facebook to keep up to date with all our recent blog posts, videos and photos! Read More Interesting Stories From Our Blog! 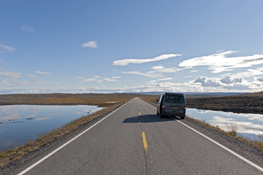 Continue reading more inspiring and informative blog posts to improve your next adventure.